Mental Health Clinicians working with clients with complex trauma histories & wish to learn how to bring elements of TCTSY into their work. 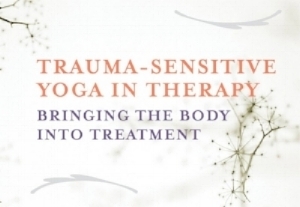 (Note you do not need to be a yoga teacher) & Yoga Teachers who wish to learn how to make their existing yoga classes trauma-informed. Presenter: Krystyna Kowalski. Krystyna is a Certified TCTSY Facilitator, Licensed Trainer on the Trauma Center's TCTSY Training Faculty, & Supervisor on TCTSY-F Certification Program (300-hour) at the Trauma Center in Boston USA. Certified Yoga Therapist C-IAYT & MSc Sociology, University of Copenhagen. This workshop to will be in English with translation in Turkish. This workshop is hosted by Maya Yoga.